Canadian publisher focusing on the spirit, history and recreation of western Canada. 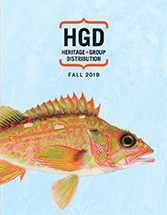 Canadian publisher focusing on outdoor activity, guidebooks, historical accounts of Canadian outdoor adventures, biographies, and other related non-fiction books. Canadian publisher focusing on history, biography, nautical subjects, art/architecture, mysteries and food. Literary imprint of TouchWood Editions focusing on Fiction, Non-Fiction, Drama, Young Readers, and Poetry. Greystone Books is a leading publisher of books about nature and the environment, travel books, guidebooks, and books about sports, popular culture, and current issues. The Royal BC Museum publishes books on the First Nations, history and natural history of British Columbia, and on the activities, exhibits and collections of the museum and archives.